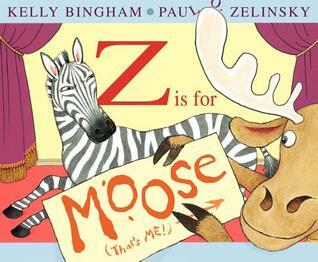 Z is for Moose by Kelly Bingham, illustrated by Paul O. Zelinsky. Greenwillow Books, 2012. This one was one of my favorites and I wanted to try it as a readaloud. I think it works, but it's maybe a little better with a smaller group and make sure you practice it first. What worked for my groups was pointing out where Moose is hiding in the illustrations, but also reading straight when you get to "R is for Moose, S is for Moose", etc. How Big Is It? by Ben Hillman. 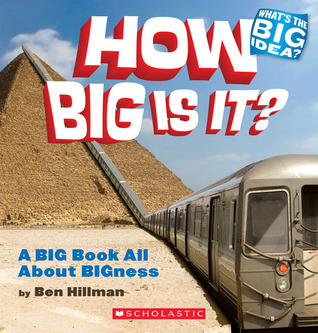 Scholastic Reference, 2007. I have been having a little trouble finding books that engage my first group of the month, and this is a surefire hit. This book has photoshopped pictures that help explain just how BIG some big things are. I don't read all the text, but show the pictures and share a few facts about the animal or object in the photos. 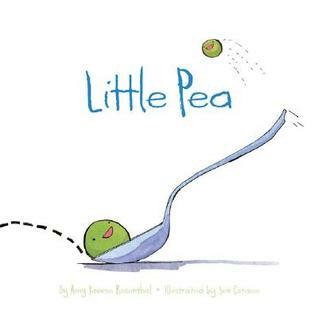 Little Pea by Amy Kraus Rosenthal, illustrated by Jen Corace. Chronicle Books, 2005. This book has a really fun story. Little Pea likes many things, but you know what he hates? Candy. But that's what little peas have to eat for dinner and if he doesn't eat his candy, he won't get dessert... a huge helping of spinach! The kids found the role-reversal really funny. 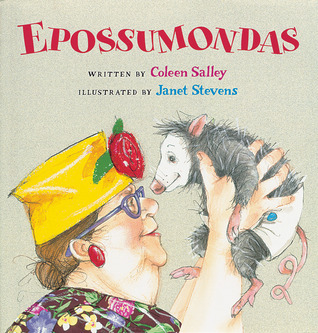 Epossumondas by Coleen Salley, illustrated by Jan Stevens. Harcourt Children's Books, 2002. This is one of my very favorite books to read aloud. I read it with an exaggerated southern accent and the kids find it hilarious! Don't miss the Epossumondas books! This month's craft was a fun one, too. We again got away from the scratch art (it'll be back next month...) with gameboard templates. Some of our neighboring librarians brought this template to our district meeting in January and I immediately wanted to try it with the afterschool kids. It's easy for us because we only have to run off the templates (the sites provide crayons). The kids can be creative in designing their gameboards however they like (one contrary guy wrote "go back" on every space! ), but they can also just color it if they're not feeling creative. Please feel free to download and use the template. Next month will be our last visits for the school year. We wrap them up in April because we take time in May to visit each of the schools and promote the Summer Reading Club. School's out here on May 22 and our Summer Reading Club will be starting May 20! Ready to Read, Read, Read! Seeds, Bees, Butterflies, and More!